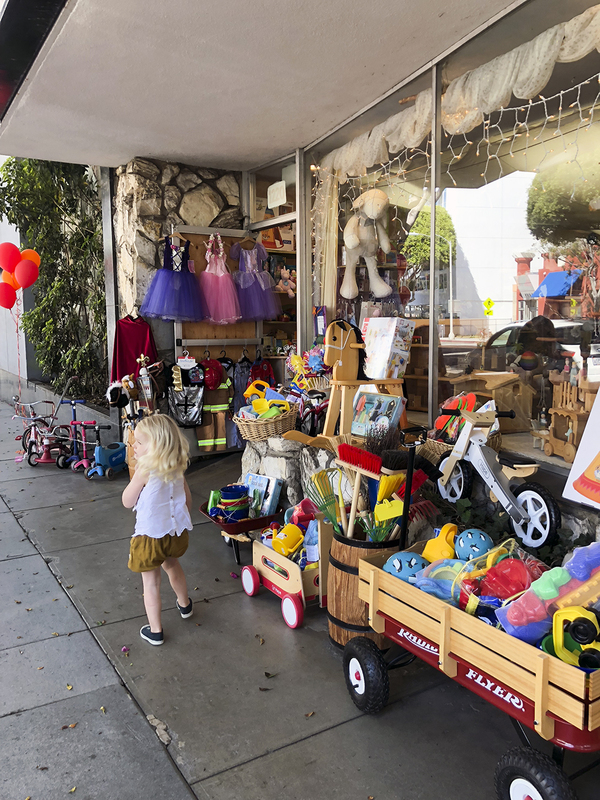 The Acorn Toy Store is located just a few blocks away from the Promenade, which is Santa Monica’s main outdoor shopping mall. When you step inside the store you could think you’ve just landed at Santa’s distribution center! 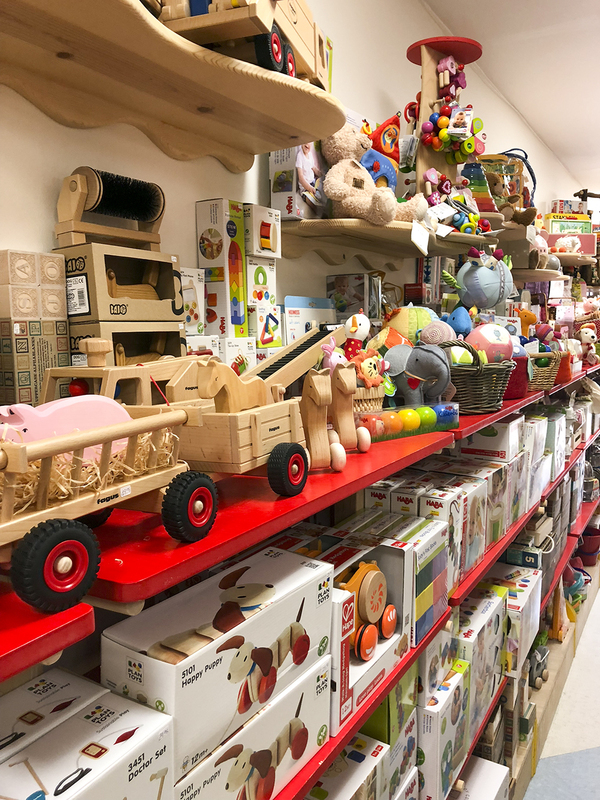 It’s brim full with the best and most magical wooden toys, art and craft supplies, dress up costumes, riding toys, outdoor toys and games. 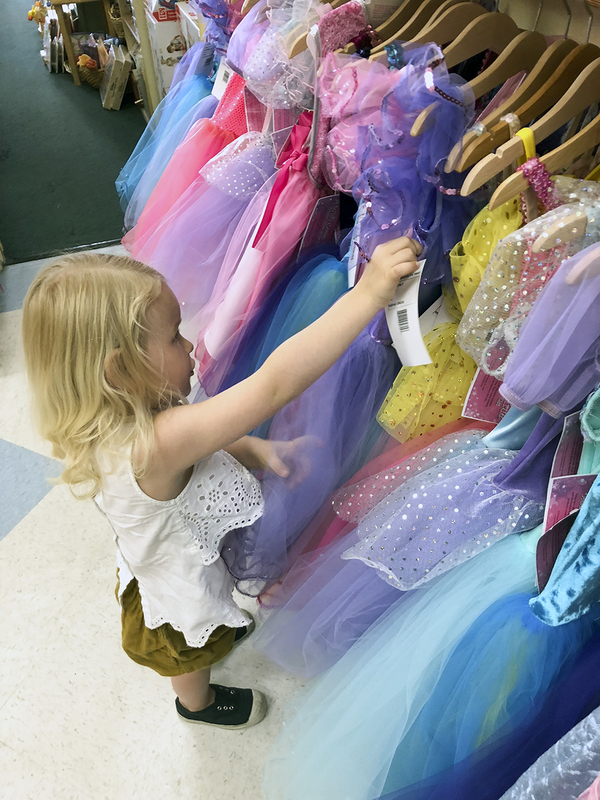 The dress-up collection is especially fascinating for young children! 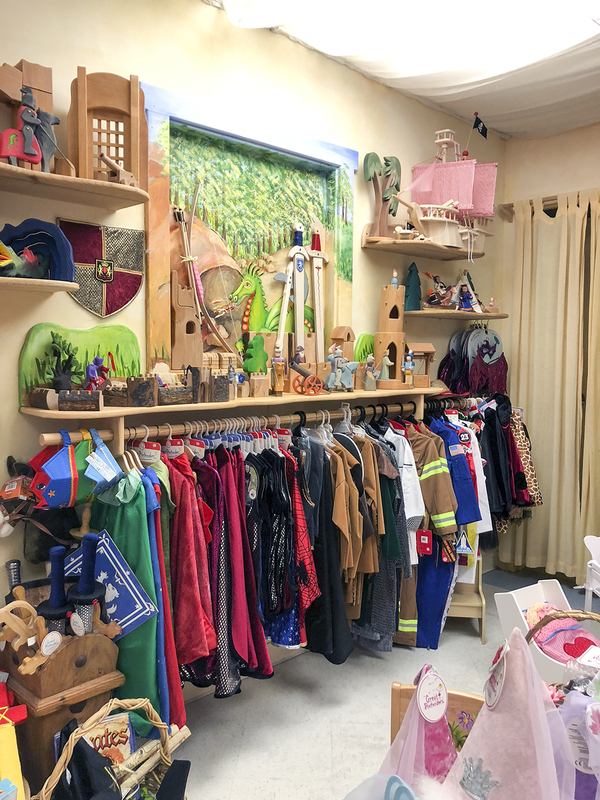 They have so many beautifully made costumes to entice young children’s imagination. Its so hard to pick a favorite! 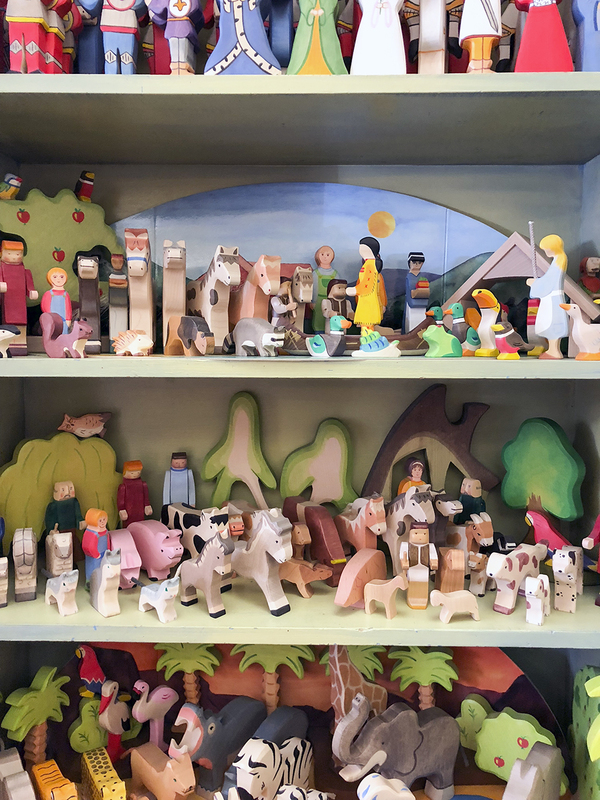 Most of the wooden toys are from Haba and Plan Toys and support creative play in children. 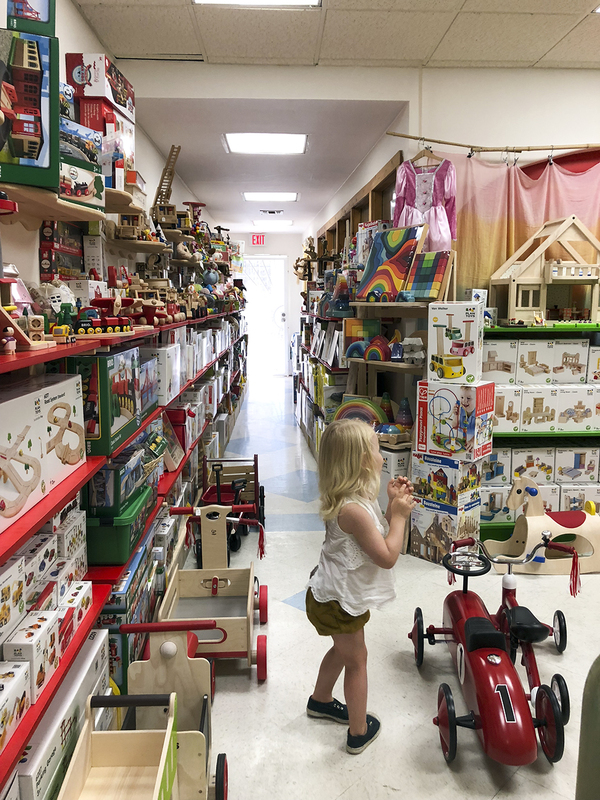 There are rows and rows of toys, grouped by age. 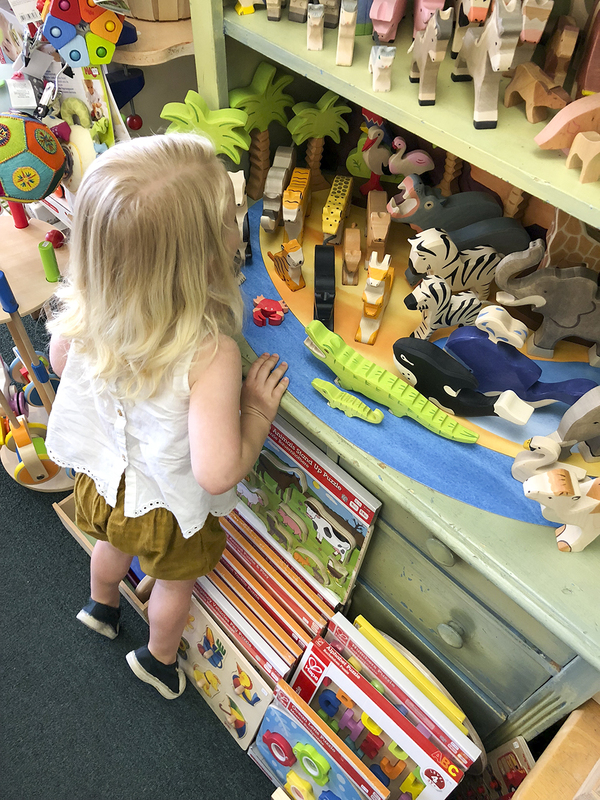 The sales people are very helpful at directing you towards age-appropriate toys and games as well, because with such a large selection of outstanding options its easy to get a little lost. In addition, the space is almost too small for all the inventory and items are stacked behind others where you can’t easily see them! 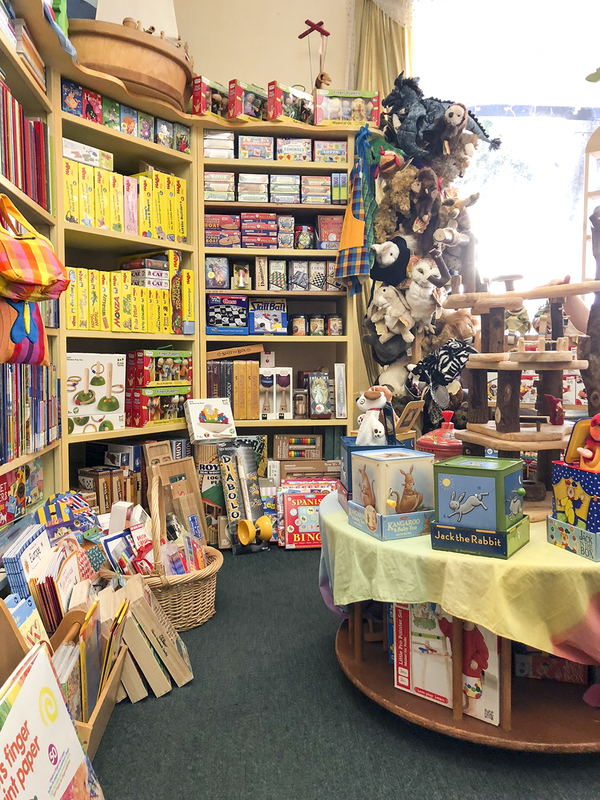 I love to get children’s birthday gifts from the Acorn Toy Store. Not only because of their many options, but also because they have great options in every price category, too. 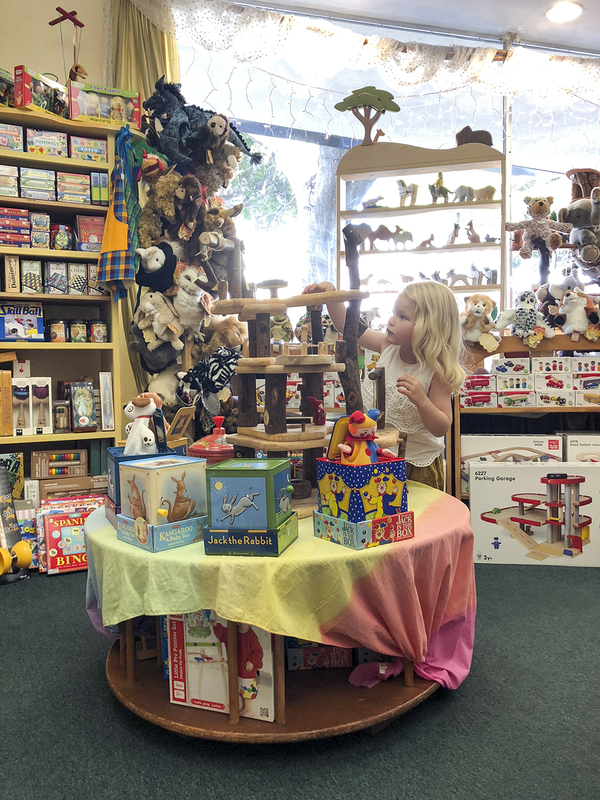 The only challenge with this toy store is getting your kids to leave the store! They just want to see it all, of course. And there is a lot to discover!